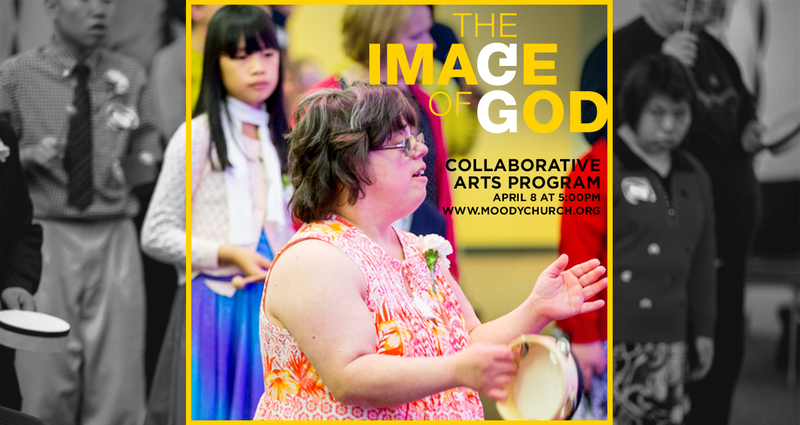 This year, Arts Month at The Moody Church will culminate on April 8 with our first annual Collaborative Arts Service (formerly called “Vespers”), incorporating various forms of artistic expression as we worship God and focus on His Word. The Image of God will celebrate the lives of those in our church family affected by disabilities and special needs. How does one worship with blindness? How does one worship with an intellectual disability? All are invited into the stories of our brothers and sisters. Come to learn; come to worship; come to be blessed; come to see all in our church family as being made in the image of God. Joni Eareckson Tada has prepared a personalized teaching video for this program! Invite your friends and family for this unique opportunity to hear from her and experience a beautiful and worshipful program. Click here for information about parking and directions to the church!